This fresh dropper design looks promising, and at just $300 it could be a great value. 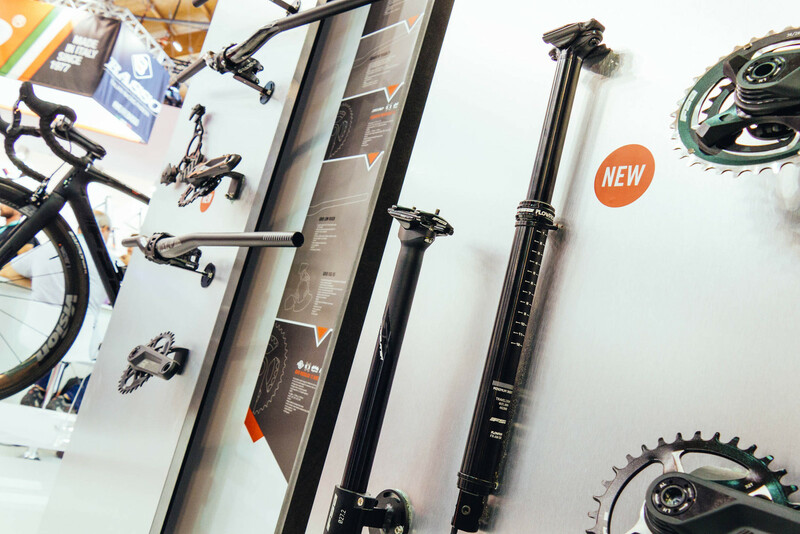 FSA released the new Flowtron dropper post at Eurobike. The prototype we saw had 150mm of travel with an overall length of 462mm. This post looks like a great step in the right direction. We were told it will be available in 125 and 150mm travel, and 30.9 and 31.6mm versions will weigh in at 587 and 617 grams (plus 44g for the remote). The best part is the name. Flowtron is a crazy fun trail at Tokul East just outside of Seattle that we test on. Dropper recommended. One of the biggest improvements to the post is the new cable-actuated remote which has been completely revised and is now trigger/shifter style, requiring significantly less force to actuate. FSA has "also developed an adjustable actuator spring which enables the rider to adjust how firm or light they want the lever actuation to feel." On the inside, FSA added a third brass key. The keys are round now, instead of flat, which "tightens up the side play and increases the wear life." They also dropped 100 grams off the post by moving to an aluminum cartridge with a 6mm shaft in place of the steel cartridge with an 8mm shaft. The overall height of the post head and collar have also been greatly reduced, allowing FSA to provide more travel for a given post length. If proven durable, this $299 USD post could represent a great value. It'll be available in January 2018. Complete details will drop soon on www.fullspeedahead.com. They named it after someone at Rotor? Pssst FSA, it's not Flowtron, it's Flowtron 3000. Show some respect!